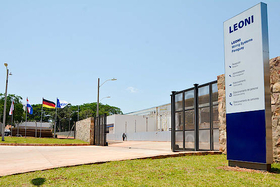 German automotive wiring systems maker Leoni has been the subject of a fraud which has cost the supplier 40 million euros ($45 million) in damages. Leoni said fraudsters had used falsified documents and identities to funnel company funds abroad. The company said the activities had not affected its IT systems or data security. "The extent to which the damage will affect the projected net income for the year cannot at present be assessed," the supplier said in a statement today. It said the company's liquidity situation "has not been adversely affected in any material way." Shares in Leoni fell 5.3 percent on the news. Leoni is No. 68 in the Automotive News ranking of the Top 100 global OEM parts suppliers.